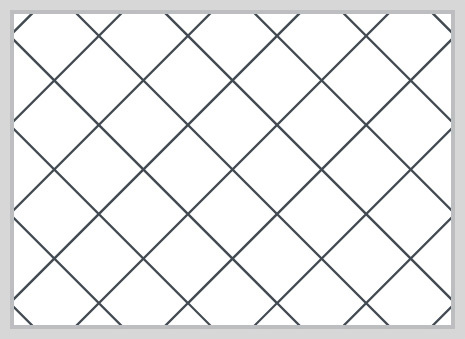 When tiling in a linear pattern, we recommend allowing 10-20% extra for cuts and breakages. 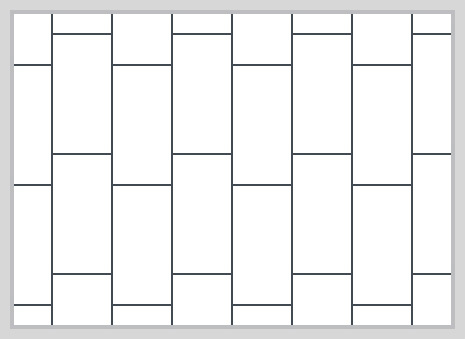 When tiling in a mixed linear pattern, we recommend allowing 10% extra for cuts and breakages. If the tiles are being laid in a diamond pattern, there will be more cutting involved and you will need to allow 20% extra for cuts and breakages. 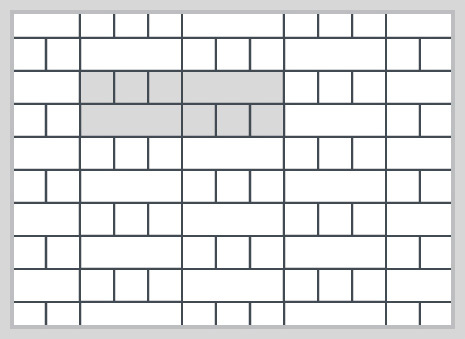 Please note this pattern is for illustrative purposes only. 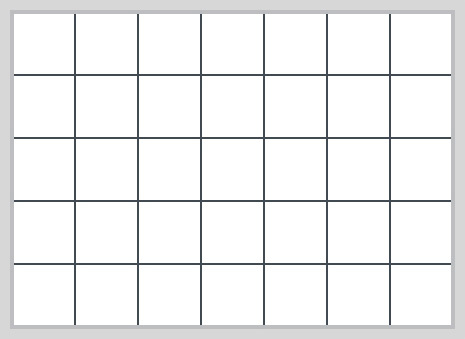 When tiling in a diamond pattern, all cuts around the outside edges of the surface should be uniform. If the tiles are being laid in a herringbone pattern, there will be more cutting involved and you will need to allow 20% extra for cuts and breakages. 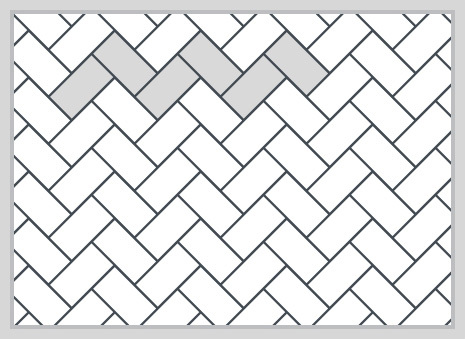 When tiling in a block herringbone pattern, we recommend allowing 10% extra for cuts and breakages. Suitable for small tiles. 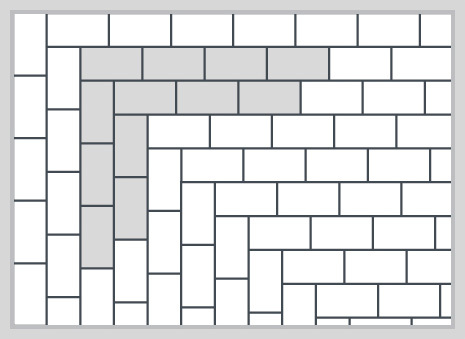 When tiling in a brick bond pattern, we recommend allowing 10% extra for cuts and breakages. For tiles 30 x 60cm or larger only ever brick bond 33% overlap to avoid lipping. 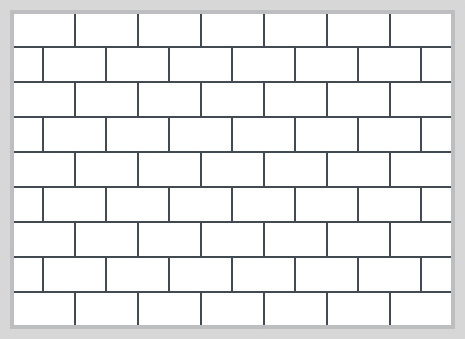 Tiling in a 3/4 or 1/3 brick bond pattern prevents lipping. We recommend allowing 10-20% extra for cuts and breakages. 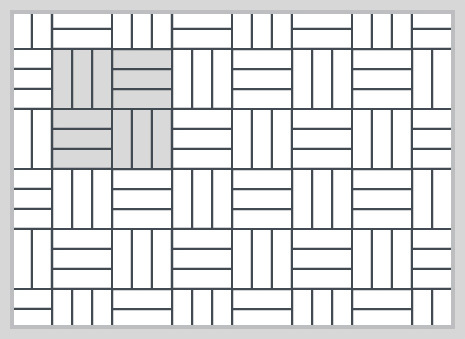 When tiling in a basket weave pattern, we recommend allowing 10-20% extra for cuts and breakages. 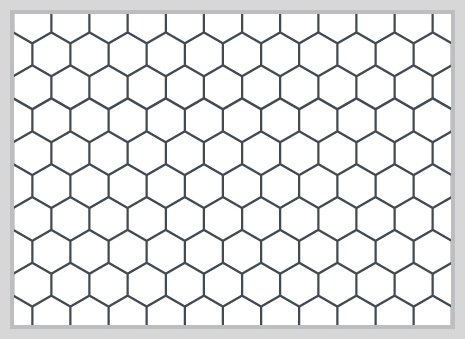 When tiling in a hexagon pattern, we recommend allowing 10% extra for cuts and breakages.